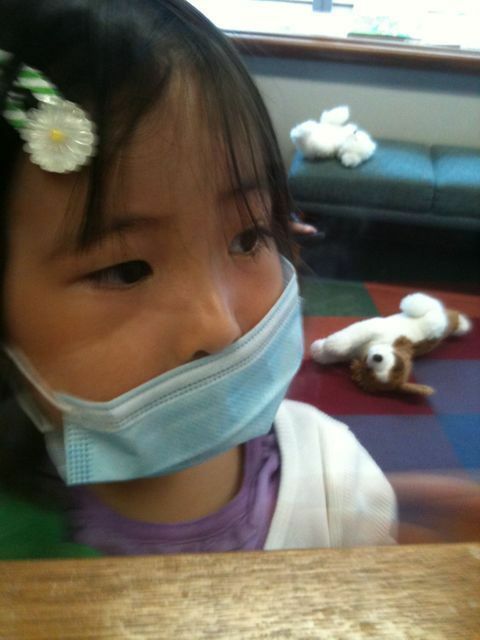 Phoebe had her first fever last night since moving to Singapore. Turned out to be a throat infection, so a releif! She was happy watching Japanese cartoons and reading Japanese books while we waiting.